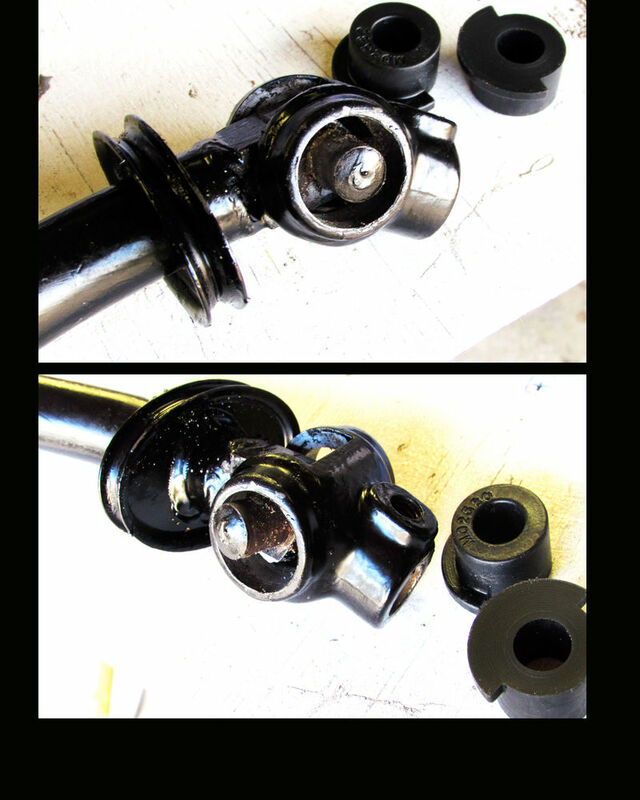 '73 shift rod u-joint bushings---uh...how? Forget whatever happened to the ones that were in there, just suddenly very sloppy, no 4th or 5th. Didn't realize they could just disintegrate. the round rod in the middle, but sure does look like one piece of metal. Heat up the new rubber/plastic bushings? Squeeze 'em in when hot? Press the pin in the middle out, put the bushings in from the inside, put the joint back together, press the pin back in. The cage is pretty easy to crack, so make sure to support it well so you're not just putting pressure on the cage.